Industrial design rights in the European Union are provided at both the Union level by virtue of the Community design and at the national level under individual national laws. they have individual character, that is the "informed user" would find the overall impression different from other designs which are available to the public. Where a design forms part of a more complex product, the novelty and individual character of the design are judged on the part of the design which is visible during normal use. Designs are not protected insofar as their appearance is wholly determined by their technical function, or by the need to interconnect with other products to perform a technical function (the "must-fit" exception). However modular systems such as Lego or Meccano may be protected. Registered and unregistered Community designs are available under EU Regulation 6/2002, which provide a unitary right covering the European Union. Protection for a registered Community design is for up to 25 years, subject to the payment of renewal fees every five years. The unregistered Community design lasts for three years after a design is made available to the public and infringement only occurs if the protected design has been copied. National systems of registered designs remain in place alongside the system of Community designs: registration in a small number of countries is cheaper than Community registration, and may be more appropriate for smaller manufacturers. The Benelux countries (Belgium, Netherlands, Luxembourg) form a single area with respect to designs, administered by the Benelux Office for Intellectual Property. National laws are harmonised by the Directive on the legal protection of designs: the criteria for eligibility and the duration of protection are the same as for registered Community designs. Many Member States also protect unregistered design rights under their national law, but these are not covered by the Directive. The protection of industrial design rights is required by the Agreement on Trade-Related Aspects of Intellectual Property Rights (TRIPS, Arts. 25 & 26), to which the European Union is a party. The Regulation on Community designs provides for the recognition of the priority date of an application for design right registration in a country which is either a member of the World Trade Organization or a party to the Paris Convention for the Protection of Industrial Property. 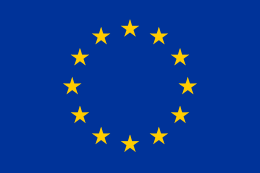 On 1 January 2008, the European Union became a party to the Geneva Act of the Hague Agreement Concerning the International Registration of Industrial Designs . This followed the proposal of the European Commission on 22 December 2005 . The protection of "component parts of complex products", in particular spare parts for cars, was left to Member States' discretion in Directive 98/71/EC, given the divergence of practices and opinions. As required by that Directive, the European Commission has conducted research on the question, which found that spare parts such as wings and bumpers were 6.4–10.3% more expensive in countries where these parts were protected by industrial design rights compared with countries where no such protection existed: it has proposed that the design right protection on these parts be abolished throughout the European Union. ^ "94/800/EC: Council Decision (of 22 December 1994) concerning the conclusion on behalf of the European Community, as regards matters within its competence, of the agreements reached in the Uruguay Round multilateral negotiations (1986–1994)". ^ Parties to the Hague Agreement Concerning the International Registration of Industrial Designs.